Full Awareness of our current paradigm is being exposed in many different forms through a network of whistleblowers, to expose the truth. 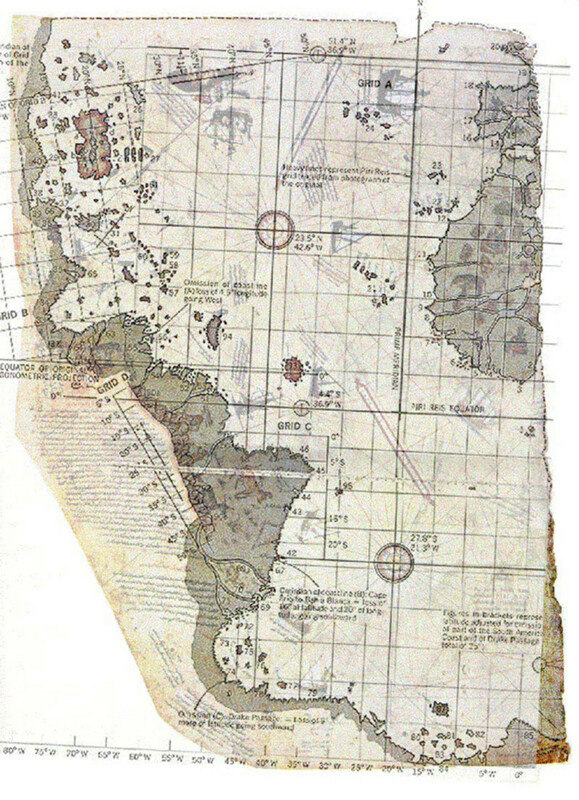 Back when I had just joined the World Wide Web in 2009, I remember reading about a mystery that my Dad had told me about called the Piri Reis Map and was fascinated by this mystery that even today no one has solved. These kinds of mysteries fueled my imagination of ancient advanced civilizations, such as Atlantis and Lemuria and compelled me to begin writing about them. This article Antarctica, The Mystery Continent will attempt to unlock and shed some light on the largely unknown land at the South Pole. In a nutshell the Turkish Admiral Piri Reis (1465-1553), owned a map that clearly showed the entire Northern coastline of Antarctica free of ice. In the 1990s the United States Geological Society (USGS) and the U.S. Air Force, used satellite technology to X-ray the ice covering the Northern coastline of Antarctica. Charles H. Hapgood, while writing his famous book Maps of Ancient Sea Kings, was able to compare the two maps and they were a perfect match. So, of course the question is how did a Turkish Admiral in the Middle Ages come to own a map of Antarctica, complete with rivers, harbors, mountain ranges and bays, when the last time the continent of Antarctica was free of ice was at least 14,000 years ago and how did these ancient map makers create the map without satellite or arial technology? Publicly not much is known about this vastly unexplored continent but what we do know is that twelve countries entered into the Antarctica Treaty System (ATS) and signed it on December 1, 1959, but wasn't enforced until June 23, 1961. Argentina, Australia, Belgium, Chile, France, Japan, New Zealand, Norway, South Africa, the Soviet Union, the United Kingdom and the United States, were the twelve countries that original signed the treaty, since then 41 more interested parties have signed the agreement. Article 7 of the ATS indicates that it should be open to public inspection by persons belonging to countries that have signed the Treaty. The ATS prohibits military activities and mineral mining, although this article is not strictly enforced as there is a many large military instillations on the icy continent. It also prohibits nuclear testing and or nuclear waste disposal. Antarctica has no permanent population and therefore has no citizenship, nor form of government. The majority of Antarctica is the only large body of land on Earth that is not owned by any one particular country, although many countries have laid claim to certain regions of it, these claims go largely unrecognized. Antarctica is the fifth largest continent on the planet Earth, roughly 5,400,000 square miles of which, according to Wikipedia is composed of 98% ice and snow. Although recently released photographs from the massive Wikileaks documents downloaded to the internet paint a different picture. To give you some perspective of its size Antarctica is about twice the size of Australia. Many myths and legends about this continent date back through antiquity but it is widely accepted that in modern times the first explorers to "discover", Antarctica was a Russian expedition lead by Fabian Gottlieb von Bellinghausen and Mikhail Lazarev, whom sighted the Fimbul Ice Shelf in 1820. 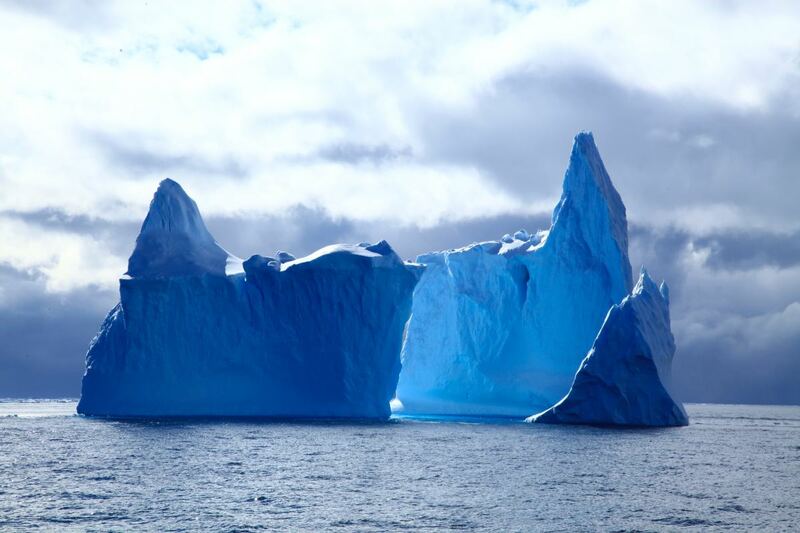 The name Antarctica is derived from the Greek word Antarktike or Antarktikos, meaning opposite of the Arctic. Aristotle wrote about Antarctica in his book Meteorology in 350 B.C. and it has been mentioned by many other historians throughout the middle ages, from Romans to Geoffrey Chaucer. 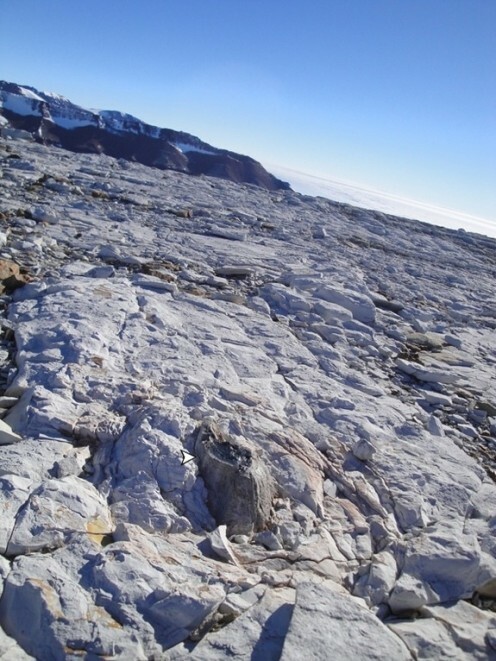 This tree trunk in Antarctica on Mt. Archner clearly shows that this continent once resided in region of the planet conducive to plant life. One of, if not the greatest legends concerning Antarctica is the idea that it could have been the lost island civilization of Atlantis. This idea is supported by the work of Charles H. Hapgood (1904-1982) and many other researchers, including Einstein (1879-1955). The idea has its roots in the theory of ancient Polar Shifts, which I have written extensively about but which "mainstream science" routinely ridicules. The idea that our planet has endured past Polar Shifts is not being disputed, the reasons for these Polar Shifts is. Many different researchers and writers have their own versions of how these Polar Shifts take place but the research that makes the most sense to me is that another large planetary body such as the mysterious Nibiru Planet X, causes the outer crust of our planet to shift due to their strong magnetic pull or push, as they pass through our solar system. Because the outer crust of our Earth essentially floats on a molten inner core of magma, this crust can shift due to the stronger magnetic forces of a planet like Nibiru Planet X, while the Earth's Poles remain relatively intact and stationary. 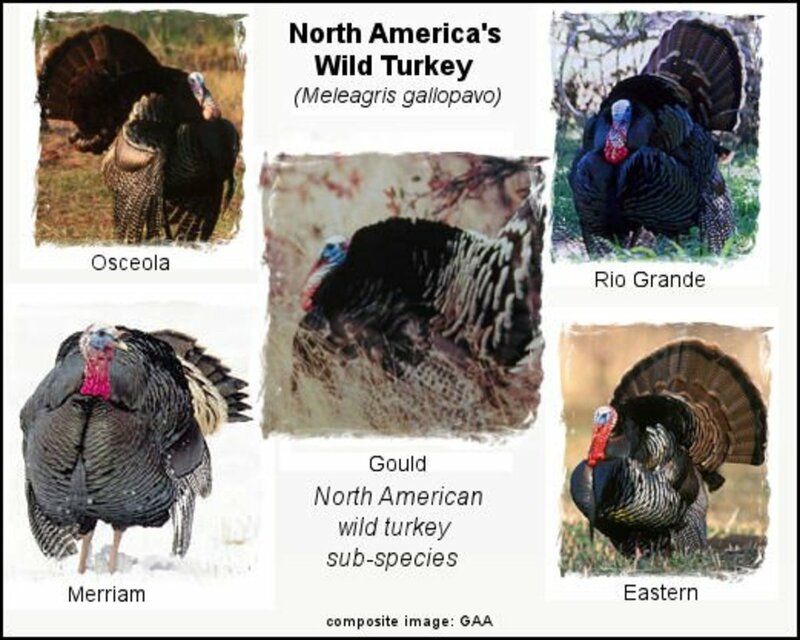 This would cause some of the continents to then enter into a much colder climate while other land masses moved into more temperate regions. This would also explain many inconsistencies with archeological data accumulated over the centuries, such as flash frozen Mammoths and other animals. This would also explain the many different flood myths and legends from ancient cultures separated by thousands of miles, throughout history. 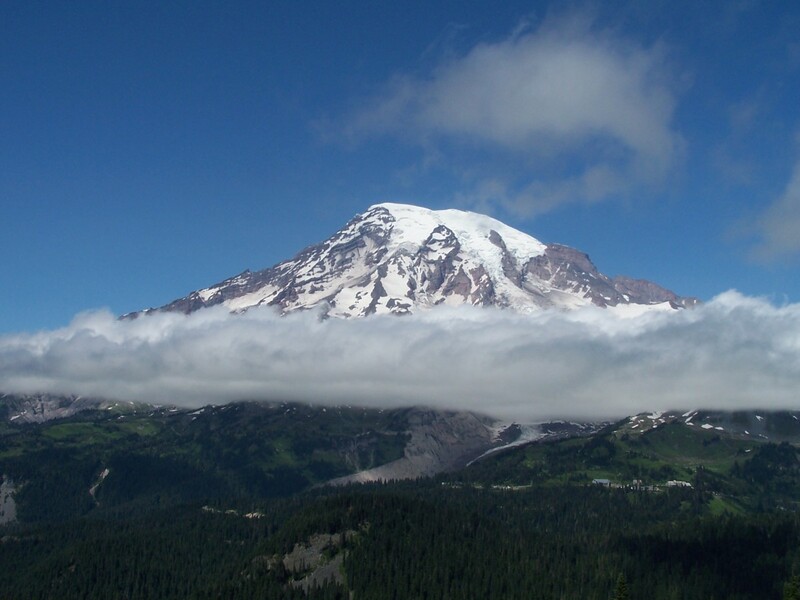 Because once the crust did shift, the ocean basins would move with them and this would cause a sloshing of water on a global scale, which would cause huge bodies of water to be displaced inundating coastlines and island nations. Once the crust did stop moving, the atmosphere would rush to catch up causing extreme weather and high velocity winds that would literally crush everything it its path. Coupled with the sloshing oceans and rivers it would move large segments of rock, trees, animals and human structures out to sea and completely change the existing landscape. There is vast amounts of archeological evidence this is exactly what has happened in our past, the most recent evidence of this is around 9,500 B.C., which coincidently is when Plato wrote about in his book Meteorology, that Atlantis last existed before a great cataclysm destroyed the civilization. For a more scientific approach to this information one need only read the incredibly well researched and written book Cataclysm by D.S. Allen and J.B. Delair. For a more spiritual and emotional look of how such a Cataclysm, would affect the human race, one can read the well written book Catastrophobia by Barbara Hand Clow, which uses the book Cataclysm and many other similar books to draw her conclusions from and details an impelling description of how mankind would develop an inherent fear of such deluges. However because many researchers and scientist discount the Nibiru Planet X idea, two other theories have gained recognition to how such a Polar Shift could have taken place. One idea outlined in the two books mentioned above Cataclysm and Catastrophobia is that an entirely different celestial event, debris from a (Super Nova) colliding with the Earth onto one of the Earth's poles, caused a massive melting of the polar ice, which in turn lightened the Earth's crust and caused it to shift. Initially this was one Hapgood and many other researchers endorsed until more information was revealed based on the book written by Rand and Colin Wilson entitled The Atlantis Blueprint (2000). This book explored the idea that over 60 of the world's most ancient ritual sites fit into a global pattern positioned by an ancient advanced civilization. Once the book was released in the United States, the authors were able to connect with Jared Freeman, an inventor, computer and electro-magnetic specialists, whom advanced the idea that a prolonged Coronal Mass Ejection (CME) or solar storm could affect the Earth's core for a long enough period of time to cause the sluggish inner magma to liquify and disrupt its' electo-magnetic field. Perhaps it is not the disruptions of the Earth’s core that cause fluctuations in the Earth’s magnetic field, but rather disruptions of the Earth’s magnetic field cause fluctuations in the Earth’s core. Einstein had doubted Hapgoods' endorsement of the "melting polar ice theory" because he thought that any force large enough to disrupt the outer crust would also shatter the planet. What he sought was a steady force applied to the planet over a period of weeks or even a month, solar storms have been known to last that long. 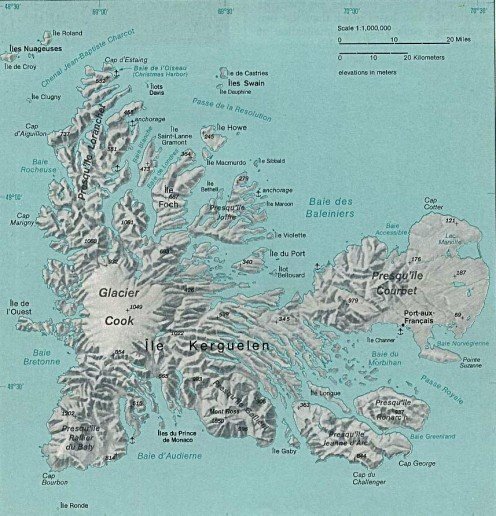 Regardless, of which theory is correct, the continent of Antarctica would certainly fit the description provided by Plato for an island nation of such size as to be independent of all other cultures world wide while providing the resources necessary for an advanced civilization to flourish. However many, many ancient cultures describe such an island civilization as the land of paradise and our forefathers. Montezuma described to Cortes, when they first met (April 21, 1519) atop the Temple of the Sun, “Our fathers dwelt in that happy and prosperous place which they called Aztlan, which means whiteness . . . a bright land of shining light and whiteness which contained seven cities surrounding a sacred mountain.” Antarctica could certainly be described as bright shining land of whiteness. Bal Gangadhar Tilak, one of the leading Veda scholars of the early 20th Century in India published his famous work, The Arctic Home in the Vedas (1903), which describes an island nation beneath the Arctic Ocean, based on the book, of the founder of Boston University, Dr. William Fairfield Warren, entitled Paradise Found: The Cradle of the Human Race at the North Pole (1885). However both books described this ancient civilization as being positioned near one of the poles and since little was known about the South Pole, both authors may have simply used a pole that was more easily recognized. An ancient Japanese record of past events, known as the Ko-ji-ki (Records of Ancient Matters) published in 712 A.D. describes and island homeland located near one of the Earth's Poles, as the beginning of humanity. These and many other myths and legends have lead to the idea that the lost civilization of Atlantis may be found beneath the massive ice sheets of Antarctica and such popular TV series as Stargate SG1 (1997-2007) and Stargate Atlantis (2004-2009) support this idea. Does anyone else find the connection to Antarctica and the Stargate SG1 series just a tad too coincidental to pass off as an accident? I AM NOT THE ORIGINATOR OR CREATOR OF THIS THEORY. The full credit for it, as I explained in Chapters 50 and 51 of Fingerprints of the Gods, belongs to the Canadian authors Rand and Rose Flem-Ath who set it out in their book When The Sky Fell (1995) . . . I believed then, and believe still, that their theory is a ground-breaking one and that it is immensely important to any proper consideration of the possibility that there may have been a lost civilisation. While the idea that Atlantis is buried beneath the Antarctica ice maybe a very appealing theory to some, I don't subscribe too it, mainly because I think Atlantis was destroyed without much of a trace . . . on purpose. This is not to say that Antarctica didn't have a civilization on it when it was situated in a more temperate climate somewhere between the South Pole and the equator thousands of years ago, it just means that it is not in my opinion the "mythical" Atlantis. According to Branton in the Omega Files, Antarctica was home of a reptilian species of humanoid that evolved from the dinosaurs, millions of years ago, when Antarctica was still situated in a more temperate zone on the Earth. To be brief, I suspect that the legendary Atlantis civilization was very real and existed for many thousands of years in Earth's distant past, with a very technologically sophisticated society. However, my research shows me, that this society was a very dominant Super Power, located closer to modern day Florida in the Caribbean in the Atlantic Ocean between North and South America. This ancient civilization was the most technologically sophisticated country of its time and inflicted its power, philosophy and science on many less developed civilizations the world over, enslaving and even experimenting on them. "In other words, Atlantis used the less developed civilizations of the Earth as their own personal playground for DNA experiments, slaves and entertainment and did not hold to the moral and ethical standards most of the world tries to adhere today." I think many of the ancient mythical beasts such as Centaurs, Griffins, Minotaurs, Mermaids and many other Cryptozoological creatures were the results of their unethical DNA experiments. I think Atlantis had an empirical priest class of scientists that harbored no ethical or moral obligations to other less developed humans on this planet, in essence playing god, with their experimentations and depravity. My research shows that the Atlantean civilization was comprised of the remnants of those that lived on Maldec before the explosion that turned it into the asteroid belt and simply set up shop on Earth. I hold to the idea that this ancient Atlantis cast of scientist/priests began experimenting with a crystal energy source at the heart of the planet Earth (the same energy source that destroyed the planet Maldec, which is now the asteroid belt between Mars and Jupiter) and these experiments got out of control and threatened not only the Earth but the entire solar system and this part of our Galaxy. To completely destroy any trace of this technology, the Federation or Council of Worlds if you will, felt that the extenuating circumstances of these experiments, allowed them to bypass the Prime Directive and remove this threat from this section of our galaxy and Earth history. This decision was probably prompted by the wide spread devastation caused by the destruction Maldec had on the entire solar system and neighboring star systems. In order to remove this technology from falling into the hands of any other forces of the "Dark Side", the Federation helped control the complete destruction Atlantis and their civilization, which is why very little evidence of its existence remains on Earth. More about that can be read in the books of Wesley H. Bateman Through Alien Eyes, The Emerald Tablets translated by Doreal, the Voyagers Vol. I & II series by Ashayana Deane and many others, too name a few. 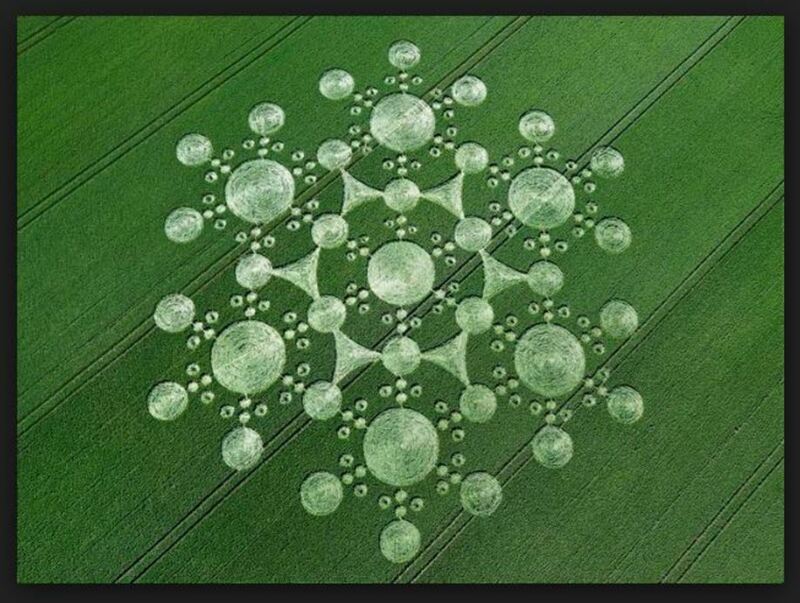 This information is also explored in the Gaia TV show Cosmic Disclosure and the transcripts of this show can be read on the website Sphere-Being Alliance. My thinking is that, Antarctica, The Mystery Continent holds many secrets but was once in a much more temperate zone on Earth and home to an advanced Reptilian species that eventually discovered space travel and left. I think this Reptilian species colonized the Draconis, Orion and Recticulum star systems, while their enemies the Maldecians or tall Nordics, also left to colonize the Pleiades, Lyra and Andromeda star systems. My research shows me that both groups cannot sustain themselves in our 3rd Dimensional reality for very long due to the Frequency Barrier that surrounds our planet and reduces humanities ability to not only evolve but use their inherent psychic abilities and remember past lives, among other things. However both groups are now involved in control of our planet for its strategic position in our galaxy, ample resources (plant an animal live), star gates and DNA but must use intermediaries and secret human societies to act through, such as the Nazi's in the early 20th Century. Do you think the continent of Antarctica is where the ancient civilization Atlantis exists? No, I think Atlantis sunk beneath the waves and was destroyed. Yes, I think it could very well be buried beneath the ice. Atlantis is just a myth and never existed. The idea that Germany didn't actually lose World War Two but rather allowed the Allies to claim they had, as a ruse to infiltrate America through Operation Paperclip, holds some merit when we consider the veracity of information pertaining to the colony the Nazi's had set up in Antarctica, in the late 1930s. I have outlined much of this material in the article Nibiru Planet X How the Fourth Reich Plans to Rule the World After the Pole Shift but will touch on it briefly in this article as well. There are many books detailing information on how the Nazi's were able to rise to power so quickly in the 1930s, despite being limited to any significant military presence in Germany because of the Treaty of Versailles, after World War One. Many conspiracy theories consider the idea that secret German societies, known as the Vril and Thule groups had made alliances with Aliens, both the Tall White Nordics and Reptilians. This information is described in many books, one by Peter Moon entitled The Black Sun and also in the book The Rise of the Fourth Reich by Jim Marrs, too name a couple. This would explain their ability to raise such a huge (million man) army, The Wermacht through cloning technology, anti-gravity propulsion systems (UFOs or Foo Fighters), jet aircraft, advanced submarine technology and even nuclear weapons. It would also explain their interests in colonizing the Antarctica before WW II even began in the late 30s and ability to set up a base under the ice. After all with the help of the Reptilians they would have the knowledge of where to look for secret under the ice rivers and entrances to bases the Reptilians left behind thousands, perhaps even millions of years ago. What is important for my readers to realize is there are many factions, agendas and Aliens groups within both competing Alien civilizations of the Reptilians and Tall White Nordics, vying for control of our planet Earth. Because of this disinformation is rampant and alliances can be confusing, mostly because none of this information is out in the open. Beginning as early as 1838, Germany had shown interest in Antarctica, The Mystery Continent and to access this continent they had begun to establish colonies in South America and Southern Africa. However America had shown just as much interest themselves with records indicating that a U.S. Navy expedition was lead by Captain Charles Wilkes in 1839. 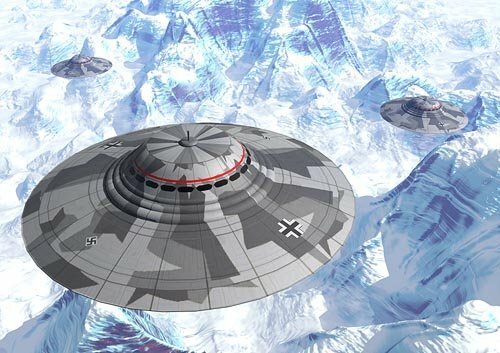 The online book Genesis For A New Space Age by John B. Leith on Scrbd., a must read for any truth seeker, shows that America was keenly aware of ongoing Antarctica explorations by the Germans. Germany had by as late as 1938, just a 100 years later, mapped over 230,000 square miles in Queens Maudland and established preliminary colonies in that region. I think what this shows is that while the public may have been lead to accept the disinformation that America and her Allies were unaware of the German bases established in Antarctica as early as the late 1930s and perhaps even a 100 years even earlier, there must have been some collusion involved. What they found, and can be proven to some degree in the Russian video below ( you will see a Hollow Earth map indicating an entrance, at the 49:00 second mark ), is a large warm water river that leads to an immense cavern. This cavern also contained the Southern entrance into Hollow Earth. 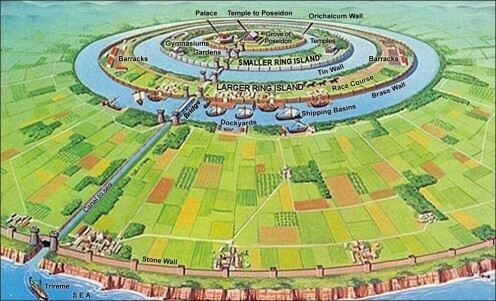 If the Vril and Thule societies had made alliances with the Hollow Earth Governments, they may very well have decided to break away completely from Germany and create their own advanced civilization. Regardless, Germany began to send large shipments of personnel (scientists), supplies and technology to this colony in Antarctica long before World War II even began. This colonization project were supplied by convoys of shipping in the Southern Ocean, protected by huge submarine fleets that sunk without provocation any ships they came across, to protect this secret. It has even been suggested that Germany began World War II with the complete approval and cooperation of Great Britain, The United States and Russia as means to reducing the world's population and setting up a New World Order. This idea, while fantastic to some, is not without merit, as the Georgia Guidestones tell us that the New World Order considers the optimum population for Earth to be around 500 million people and World War II may very well have been created by both sides to accomplish this population reduction strategy. I think that Germany had kept such a tight lid on their secret Antarctica colony, that the Allies weren't aware of the veracity of the intelligence reports and rumors until nearly the end of the War, when they began to round up German technology and scientist and found that a large contingent of over 250,000 top scientists, officers and technicians and technology were not destroyed or dead but missing, gone, as in no trace could be found. When two Super Submarines U-530 and U-977 were captured after the War in Argentina and the Americans had a chance to interrogate the personnel, it provided them with the smoking gun to just where these missing personnel and technology went. However there is much speculation as to why these U-boats were allowed to be captured and some considered them as a means to bait the Americans into sending a large fleet into the Southern Ocean to Antarctica . . . enter Operation High Jump. What was the real reason Rudolph Hess flew to England and gave himself up to Churchill in May of 1941? While the public may never know what secrets he held or divulged to Great Britain because they are firmly locked away under the UK Official Secrets Act, what we do know about him and his relationship to Hitler and an acting member of the secret Thule society, sheds some light on the mystery. Rudolph Hess was the Commissar of Foreign Policy, Commissar of All University Matters, Commissar of All Technological Matters and Organizations and head of the Office for Racial Policy for Nazi Germany. Rudolph Hess was the Deputy Fuhrer of the Third Reich and close personal friend of Adolph Hitler. As an avid pilot and member of the Thule Society, Hess was well aware of all of Nazi Germany's plans for expansion. In 1938, Richard Byrd, the same Admiral that lead Operation High Jump met with Rudolph Hess, after giving a series of lectures in Germany on Polar Explorations. This meeting was too find out information concerning Germanys Antarctic Expedition in 1938. Because the Thule Society was financing this expedition Rudolph Hess was logical choice to lead it, being an active member of both the Nazi Party and Thule Society. However Herman Goring, Rudolph Hess's secretary was the man assigned to lead the German Antarctic Expedition that established a base in the Southern Pole. So I think it is safe to say that Adolph Hitler, not only knew of the flight of Rudolph Hess to England but probably endorsed it and planned it. He only disavowed his knowledge of it and labelled Hess insane when the plan failed to achieve the desired results, such as a conditional Peace Treaty. We do know that both Aleister Crowley, a Britain agent and Wickedest Man in the World and Ian Fleming, author of the famous James Bond novels, (named after the operation "James Bond" after the War to discover and obtain secret Nazi Technology), were both aware Hess was coming to England on May 10, 1941, and had prepared for his arrival. Incidentally, the date coincided with the alignment of six planets in our solar system. However Churchill's men intercepted the airplane Hess was flying in and shot it down, forcing Hess to parachute into Scotland, where he was captured and arrested. I do not think this was part of the plan and may have altered history. I make this assertion because of the information contained within Mein Kampf, that shows Hitler was not willing to make War with Russia without the assurances from Britain and America, that they would Ally with his forces, if he were to invade. It has long been debated whether or not Hitler received these assurances or not before he invaded Russia but perhaps the greatest mystery of World War Two is why Hitler would choose to fight a War on two Fronts with absolutely no help from either Japan or Italy. Crazy doesn't even begin to explain this decision. I won't spend a lot of time describing Operation High Jump because plenty of information can be found on the internet and in books pertaining to the task force the Americans sent to Antarctica, The Mystery Continent in 1947, this is, while relatively unknown, still public knowledge. 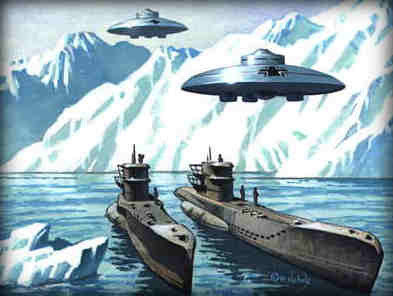 No one is disputing the fact that an American and Allied Naval task force was sent to Antarctica in 1947, lead by Admiral Byrd and Admiral Nimitz and ordered by James Forestall, then Secretary of the Navy. What is being disputed is what they found while they were there and what made them turn back after only two months of a scheduled six month operation. Many researchers have concluded they met with opposition that forced them to retreat after suffering heavy losses of equipment, ships, airplanes and personnel. All of this information is public record but further research indicates that this fleet of ships were sent to Antarctica to determine if intelligence reports were true that Germany had created a secret base beneath the Antarctic ice shelf and were operating anti-gravity and U-boat missions from this location. When you consider the statement made by Admiral Donitz (Commander of the entire German U-boat fleet) in 1943, when he said " . . . that a substantial portion of the German submarine fleet had 'rebuilt', (not built mind you but rebuilt) in another part of the world a Shangri-La land . . . an impregnable fortress." Also if you consider the mysterious cargo of U-859 sunk September 23, 1944 near the Straits of Malacca, carrying a cargo of 33 tons of mercury sealed in water tight containers, later recovered by Allied Navy divers, it shows that these submarines were carrying supplies used in the propulsion systems of anti-gravity craft. When you throw into this mystery the idea that Rudolph Hess, a close friend of Hitler, that parachuted into in England on May 10, 1941, a full 7 months before America even entered the War officially and according to 'history' tried to surrender to Churchill, it creates even more suspicion. Mainly because Hess was known to be intimately involved in the Germans expeditions into Antarctica, through none other than Admiral Byrd. Now if you subscribe to the idea that not only did Germany have A-bomb technology but had used it on the Eastern Front against the Russians and on their own people to show the Allies they had this technology as early as 1942-43, then it makes Operation High Jump seem much more of a military invasion. However in keeping with its deceptive mission parameters and lack of public documentation, it is difficult to acknowledge what was learned from this mission. We can only speculate at this juncture but it does seem clear from the fact that a six month expedition was cut short to only two months, that whatever happened was unexpected and perhaps even fatal. Between 1950 and 1965, personnel of Argentina’s Navy alone made 22 sightings of Unidentified Flying Objects that were not airplanes, satellites, weather balloons or any type of known (aerial) vehicles. These 22 cases served as precedents for intensifying that investigation of the subject by the Navy. What we have learned from Operation High Jump is that for the most part a large majority of the World and even the American public is completely unaware this naval task force in 1947 to Antarctica, took place. While we can only really speculate as to what happened, there is some information availably that shows some sort of battle took place which destroyed some ships and killed personnel. Admiral Byrd repeated these same remarks before a International New Service conference following the expedition. Whether or not these craft were of Extraterrestrial or human origin was not made clear but some sort of confrontation clearly took place, according to many sources. Also in todays alternative media, this war maybe starting again or may have never ended as there are numerous reports of UFO activity in the Southern Hemisphere near Antarctica, The Mystery Continent. Although Adm. Byrd was hospitalized shortly after returning to the United States and not permitted to hold anymore public news conferences, he was put in charge of a later expedition to Antarctica, called Operation Deepfreeze I, in 1955-56, he died shortly after . . . although many researchers think he may have been permanently silenced. However according to my own research there have been numerous expeditions with this code name, including but not limited to one that took place in 2015-16. "Operation Deep Freeze I would prepare a permanent research station and pave the way for more exhaustive research in later Deep Freeze operations. The expedition transpired over the Antarctic summer of November 1955 to April 1956." What must be remembered or at least noted is this Operation High Jump was the brain child of James Forrestal, then Secretary of the Navy, only months after the Roswell Incident in New Mexico, United States. We do know that like Admiral Byrd, James Forrestal was hospitalized, after the operation and later committed suicide by jumping out his hospital window on the day of his pending release from Walter Reed (a military hospital), despite the windows being barred from the outside . . . things that make you go hmmm? 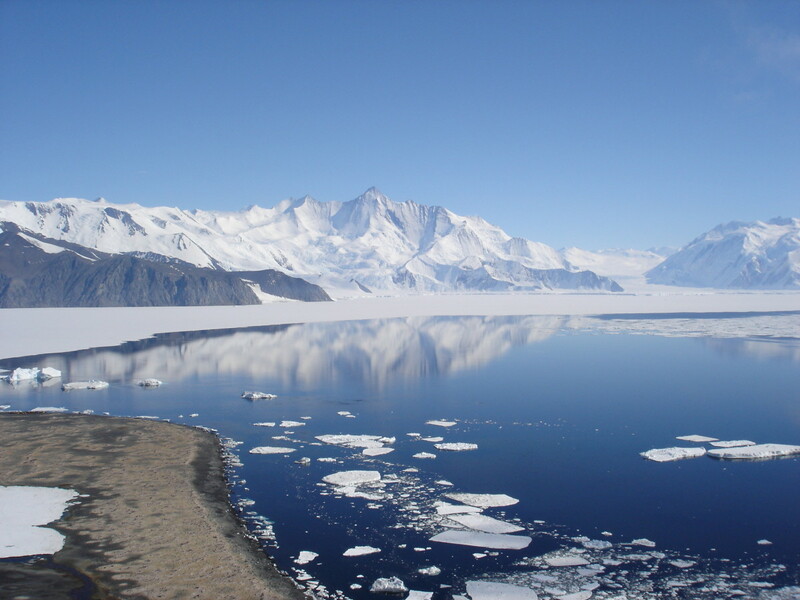 When Lake Vostok was discovered in Antarctica in the 1990s below the experimental Russian research station Vostok, the global scientific community recognized the importance of exploring and studying this huge (300 miles long and 50 miles wide) lake, that had temperatures ranging from 50 to 65 degrees Farenheit. In Sept, of 1999, 80 scientists from numerous countries around the world met at Cambridge University’s Lucy Cavendish College, to set up protocols for researching this vast unexplored vessel of undiscovered life hidden below the two mile thick ice of Antarctica, The Mystery Continent. A huge extremely powerful “magnetic anomaly” (65 square miles) located in the northern end of the lake’s coast, had been discovered. While the public was being told nothing about this discovery, the channeler Lady Kadjina published on her website ShastaPortal, March 1, 2001, that this magnetic anomaly being "guarded" by the NSA, was in fact an extraterrestrial observatory. 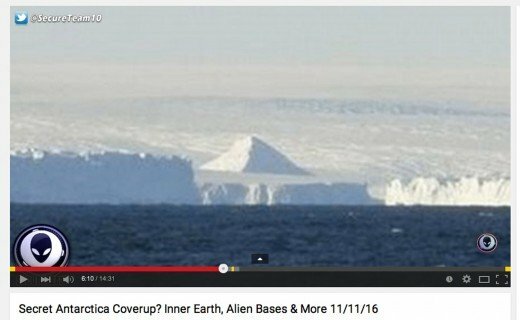 While there is no shortage of information and speculation on Antarctica, The Mystery Continent for the last 100 years, there is also a lot of stories appearing in todays alternative media, the internet and even in the Lame Stream Media (ooops, I meant Fake Stream Media . . . uh, make that the Mainstream Media, my bad!). U.S. Secretary of State, John Kerry made recent trip to Antarctica on November 10, 2016 and officially President Obama made it as far as the tip of South America but also Russian Orthodox Patriarch Kirill paid a visit to the land of the penguins as part of his South American trip. “Antarctic is the only place where there are no weapons, military activities, scientific researches aimed at creating new means of people’s destruction. That is a some kind of an image of ideal mankind and a sign that people can live without borders, weapons, hostile rivalry – that people can feel as members of a single family,” the patriarch told polar explorers at the Bellingshausen polar station, as cited by RIA Novosti. Are we the public suppose to accept all these visits by high ranking political and religious officials as mere curiosity and coincidence . . . I may have been born at night but it wasn't last night. What is Lockheed Martin, an advanced aerodynamics company, doing in Antarctica and why would they have a contract with United States Antarctic Program? One must recognize that Lockheed Martin has been mentioned in William Tompkins tell all book about Secret Space Programs, entitled Selected By Extraterrestrials. Was recently in the news concerning anti-gravity research, a nuclear reactor prototype that can fit in the back of a truck and whose former CEO Ben Rich recently admitted to the public that they had found errors in Einstein's theories that would allow them to take "ET Home"! 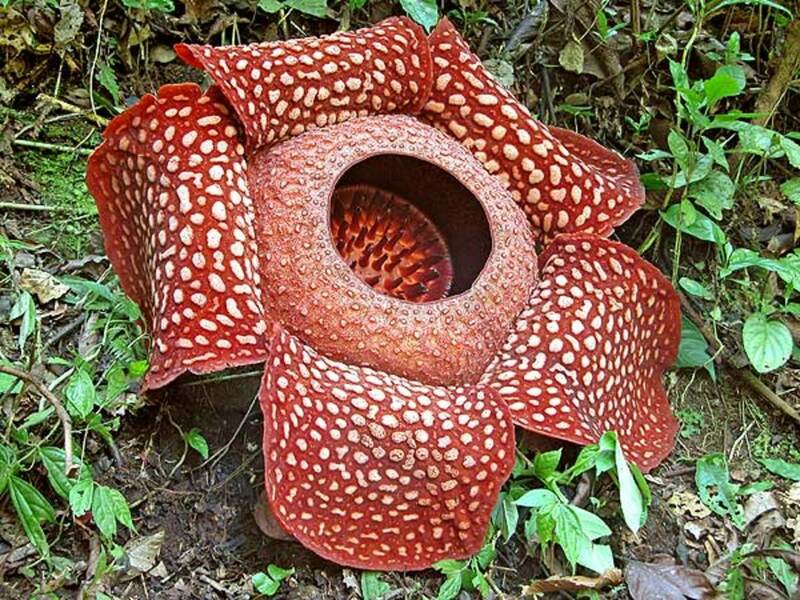 Anyway, the story goes that a Lockheed Martin employee/scientist got sick and out of the kindness of their generous hearts, Lockheed deemed that the most dangerous place on Earth and this part of the galaxy to fly in was worth the risk to fly this person out, WOW! But now a Lockheed Martin contractor at the base has gotten sick, and for only the third time in the last two decades a midwinter rescue mission has launched. We don't know the details of the illness — medical-privacy laws prohibit sharing that information without consent — but given the risks of a rescue, it must be severe. Well, it must be severe indeed, to risk the lives of the pilots and replacement personnel and the safety of the aircraft or it could just be sensationalism and disinformation but for what purpose? There is also this article from Exopolitics.org entitled UFO War In Antarctica: Fact Or Fiction by Dr. Michael Salla, a writer that has worked for previous Presidential Administration (Carter's in the 70s). In this article, it list numerous unnamed "sensitive sources" from John Kettler, a former US military contractor and Gordon Duff from Veterans Today depicting an ongoing battle between US coalition forces and unknown Alien parties, in the South Pacific and in the waters off Antarctica, The Mystery Continent. "The lack of confirmed sources makes Kettler’s and Duff’s claims of an undeclared war between hostile extraterestrial forces and a US led naval coalition in Antarctica and/or the Pacific, something to be seriously questioned, if not dismissed altogether. This is especially so given whistleblower testimony that a UFO false flag war has been planned for several decades. The likelihood that Kettler and Duff are unknowingly disseminating misinformation about hostile extraterrestrials as part of a false flag UFO scenario is high as I have written earlier." 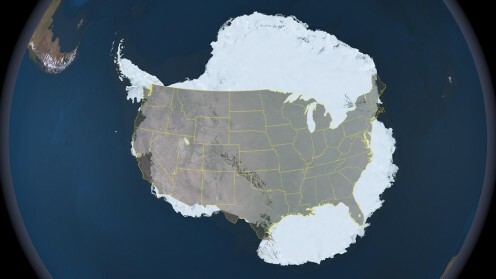 The vastness of Antarctica compared to the continental United States, shows just how much could be hidden beneath the ice. Despite Dr. Salla's misgivings of disinformation and false flag Alien Invasion scenarios, one thing remains clear and indisputable, there is an awful lot of high ranking government officials making unexplained trips to Antarctica, The Mystery Continent and many highly suspicious stories and events taking place in and around this area of the Earth. My own thinking on this subject is that as the Earth's climate continues to warm, more Polar Ice will melt, this is a fact. Because of this I suspect more and more ancient technology buried under this ice will become accessible. While the public may not become privy to this information and discoveries the stories and disinformation related to these discoveries will continue to be reported. I think that Lady Kadjina's explanation of what was found beneath the ice in Lake Vostok, makes the most sense and any reports of radiation or gas concentrations, is just disinformation to keep people from digging any deeper into the mystery. I think without a doubt that Germany created a new nation in Antarctica by locating the Southern entrance to Hollow Earth and the land of Agartha or Shamballah and probably still exist there today. They surely still have some military instillations on and in Antarctica to protect this entrance but their "New Germany" is inside our planet not on the continent of Antarctica, itself. If any war is being fought there it is between Cabal factions and benevolent forces both human and Alien over ancient technology and bases but that it has been going on for thousands of years and is not a recent development, as it is being played out in the alternative media. I'm sure pyramids exist on Antarctica, after all they exist on every other large land mass on the planet so why not there? I think as our population grows and awakens to the true nature of our past and the very real possibility that humanity has existed on this planet in one form or another for over a quarter of a billion years we will recognize that we are all in this together and stop competing with each other but learn to embrace the differences and work together . . . however this will not happen overnight. Until humanity is allowed to participate in a Full Disclosure of these and other mysteries all we can do is speculate about them, report what we know and share our information with each other. 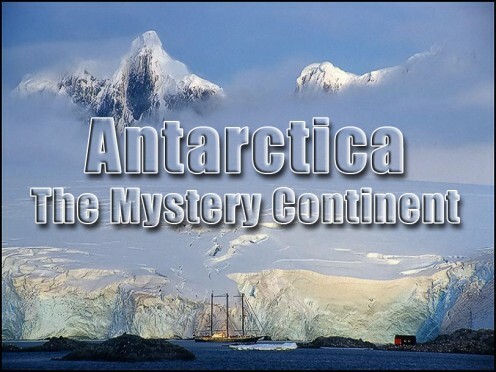 This the main emphasis for this article Antarctica, The Mystery Continent. I hope you have enjoyed reading what I have learned about this mysterious land of the penguins, as much as I have in researching this article. It does seem to breathing its last gasps, which is too bad because they do make writing articles easy but this article has been reviewed now for over 24 hours . . . what could possibly be taking so long? LOL.......WHO have you been talking to?? Don't believe them darling. My heart belongs to only you....LOL....OH, you're the most fun I can have on this site! Let them, most are simply wasting oxygen while the small minority of us slave away at enlightening the teeming masses of ineptitude. There is nothing more that I would like to do than spend my Winter months serving you in any and all capacities but alas, I am but one man . . . Thanks for the book recommendation. With my winter hibernation very close, I plan to spend 3 full months reducing one by one, the floor to ceiling pile of books that calls to me daily! Will track Wesley Bateman down. You can come hibernate with me if you like.....tee hee....I'm sure there's nothing you'd rather do than hold up in a warm comfy bed, reading books with me. Caution: Knowing you, you probably should not respond to my invitation. People will talk. Thank you Paula, it was quite the undertaking, months of research and weeks of writing but with the Land of Penguins in the news both mainstream and alternative, I felt it was time to recognize what we know about it and speculate on the rest. If you want to read, a hands down awesome book, that will literally blow your mind and keep you entertained for sometime, read Through Alien Eyes by Wesley H. Bateman, it is a page turning, mindblower. I may have to add to this article in some more hubs on related topics but thanks for reading it. Reading your work is an actual adventure...a journey of epic proportion! I can't attempt to guess how much time, concentration and research goes into such a piece of work as this particular article, blue. (I know I've mentioned this to you before, but I do hope you have seriously considered creating a book, showcasing your vast library of hubs. ) Mark my words, you could retire in luxury. Your topics are unique, incredibly fascinating and certainly filled with knowledge, information and facts galore that the average individual does not independently explore. This hub is, for someone like me....a brand new & exciting introduction to what could be, an invaluable education.